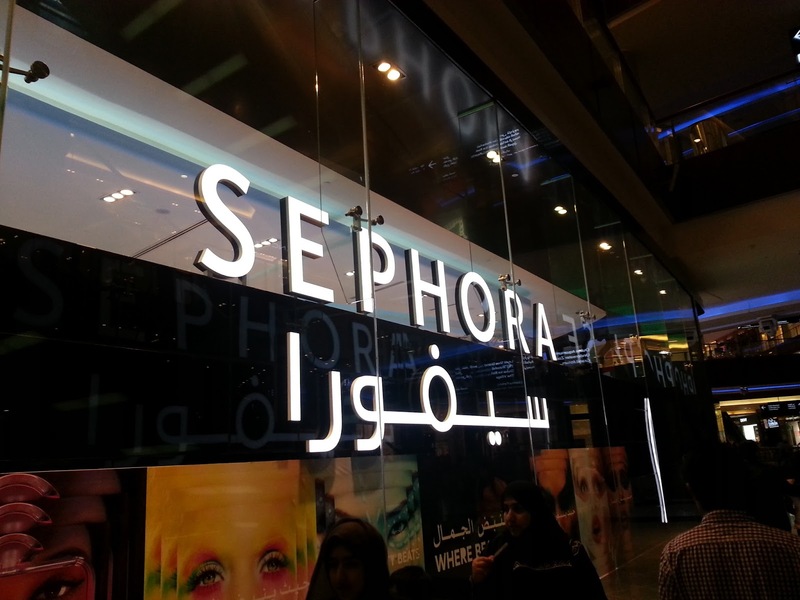 Today you will be reading “My Travel Diaries” post & this time I am going to talk about my Trip to Dubai Mall and a fun make over I took at SEPHORA and the luxury purchase I made. 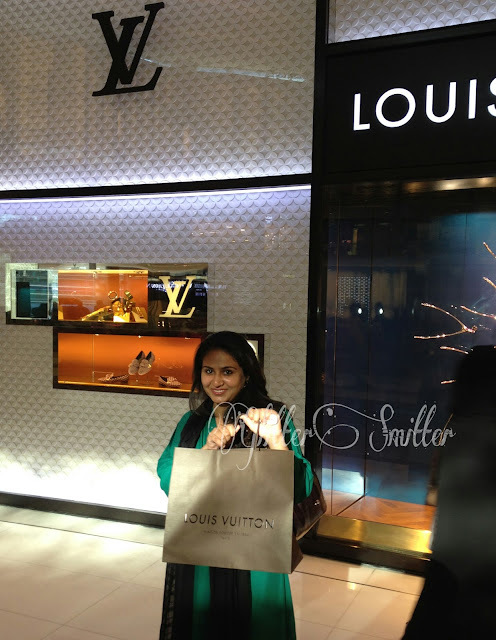 I went to Dubai Mall twice first trip just to shop and roam around and my second trip was a very special trip as I went solely to purchase a Louis Vuitton Hand Bag as my anniversary present ( yeah Lucky me). 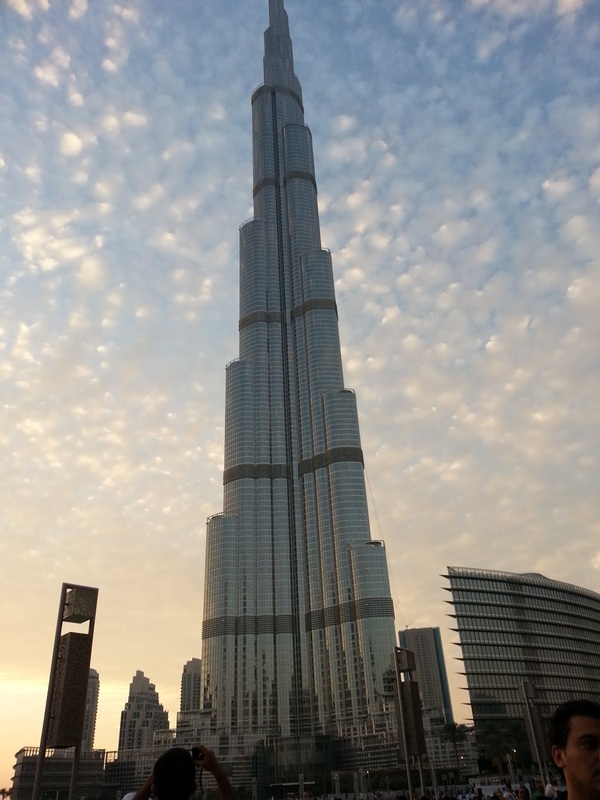 Now lets get on with the details of The Mall, it might be average for people living in Dubai but it was the most spectacular mall for me, it was like an entire new city inside. I saw many big malls in Malaysia but there was nothing like The Dubai Mall it’s a must place to visit if you are in Dubai I wish I get more chances to go to Dubai so I may explore this Mall in peace as once you are inside you wont remember anything of the outside. 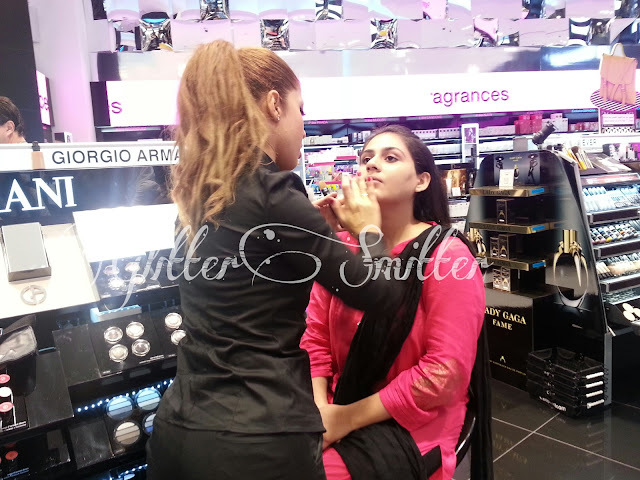 You will find every luxury brand in the Mall as it contains more than 12000 shops. 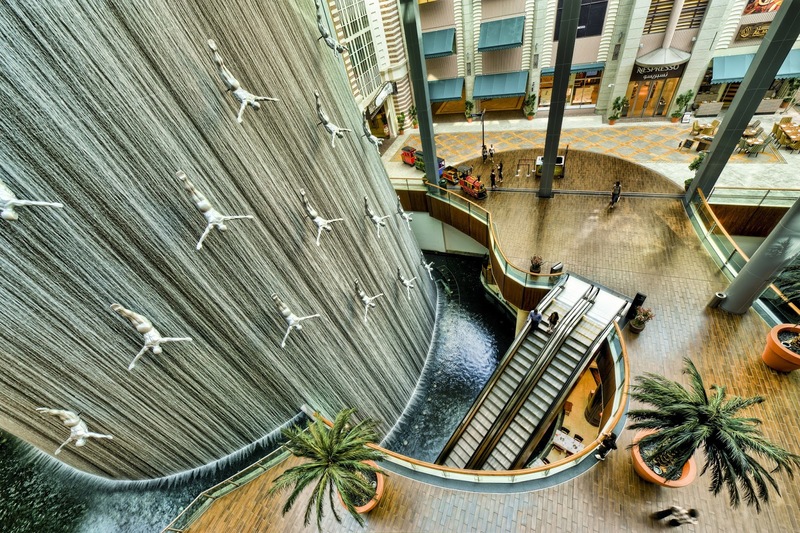 movie theater and the beautiful waterfall. 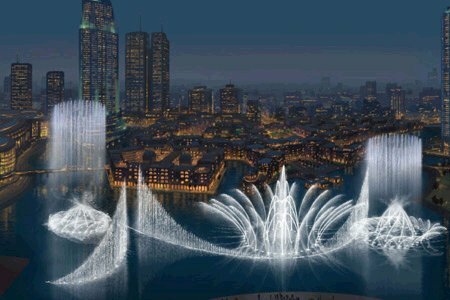 Out Side the Mall there is this beautiful Dubai Musical Fountain which is another world’s biggest. 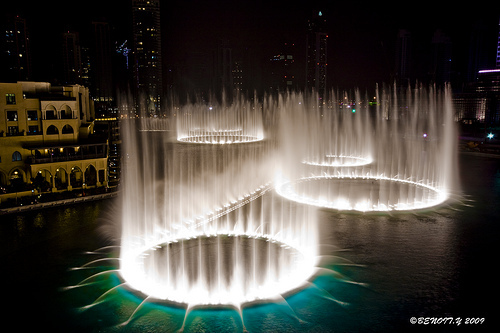 The fountain is Illuminated at the night time and these fountains dance to the music. They do a show every half an hour depends on the atmosphere conditions I was lucky enough to see two shows. I so badly wanna go to Dubai once again & shop like crazy as Its Asia’s Number One Shopping Destination. Here are some pictures I took from internet but after these few pictures you will find the one’s taken with my camera. 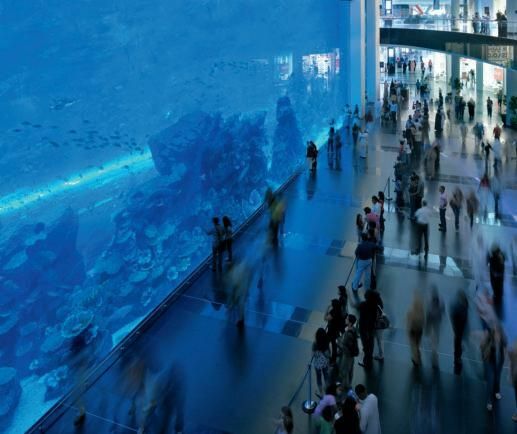 Here are some Cool Facts about The Dubai Mall. 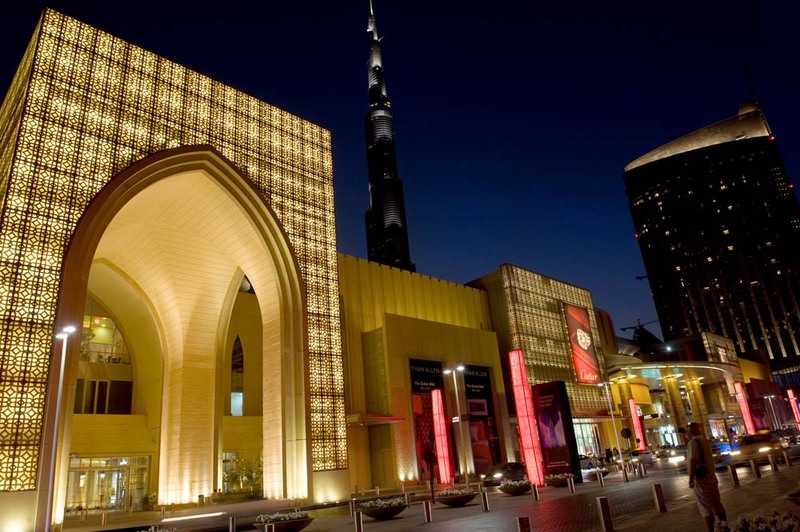 The Dubai Mall I guess is one of the world’s largest Shopping mall. 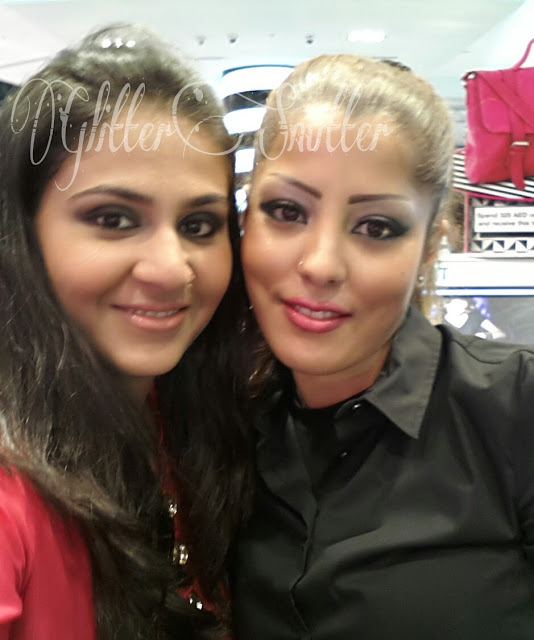 Below are the pictures taken from my camera. 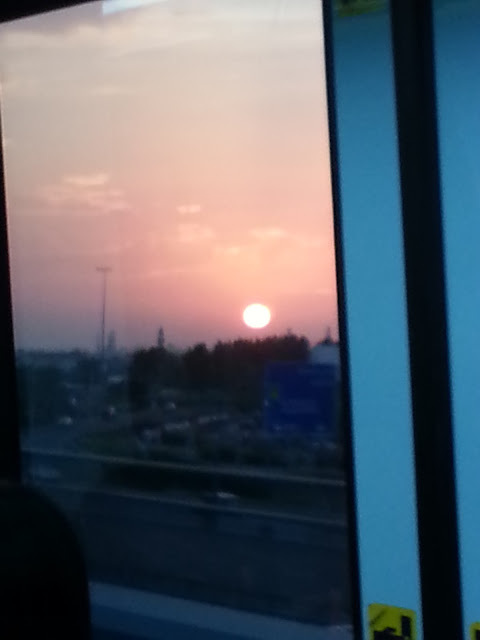 Sun Set from Metro Window. 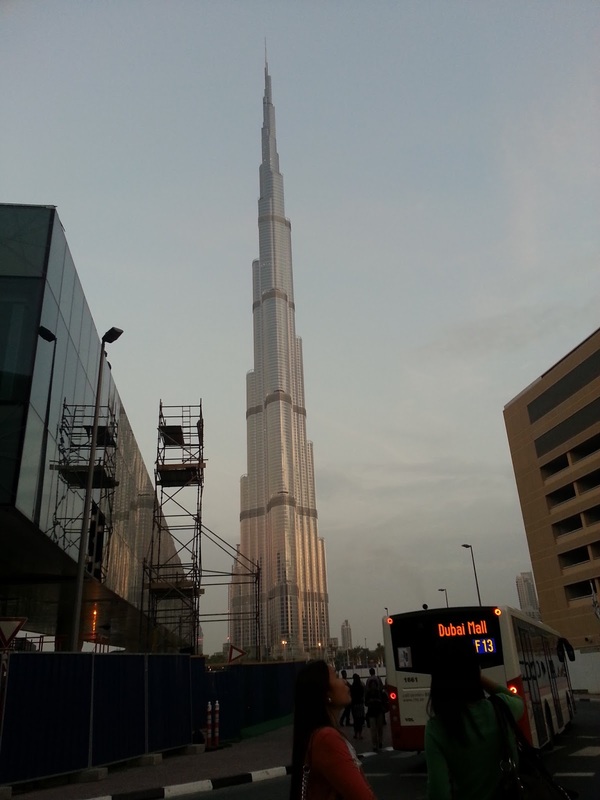 If you take metro to Dubai Mall this the stop where you will wait for a bus to take you to the mall. One can also go by foot as the distance is not much, we took bus once and went on foot other time. 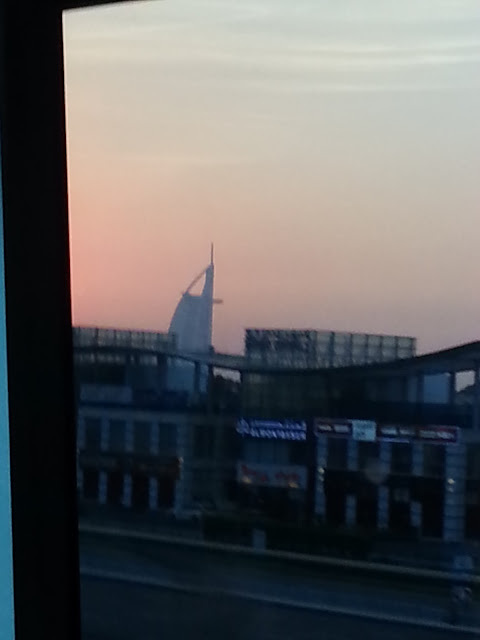 You can see beautiful Burj Khalifa from this stop very clearly. 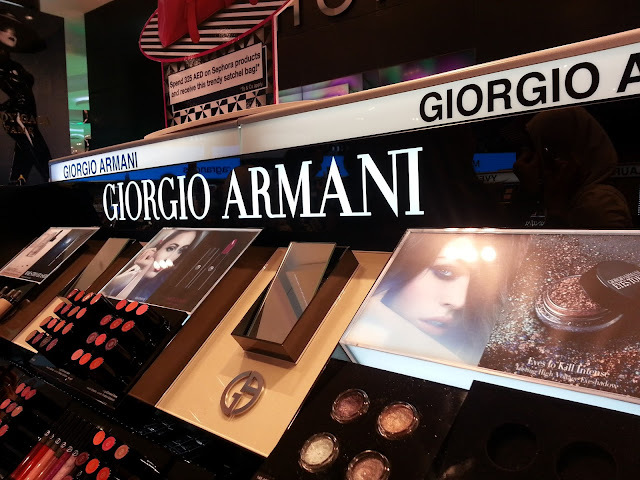 Georgio Armani Counter. 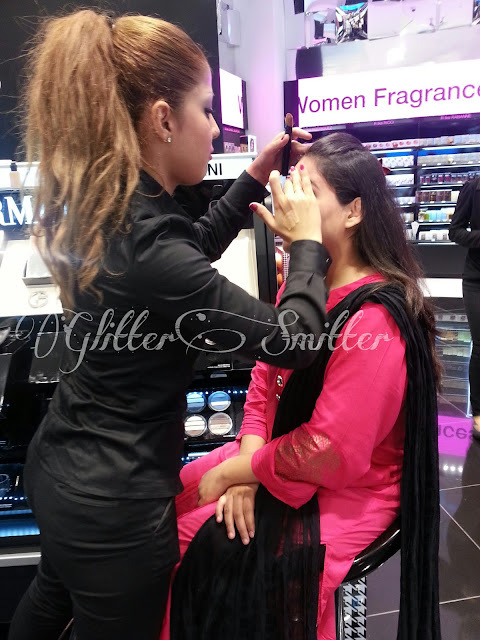 I was in a hurry so she gave me a quick make over. 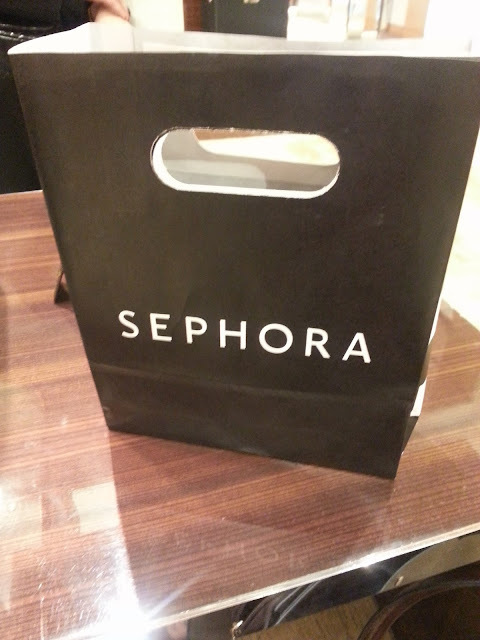 Second day we just went there just to purchase a Louis Vuitton Hand Bag. 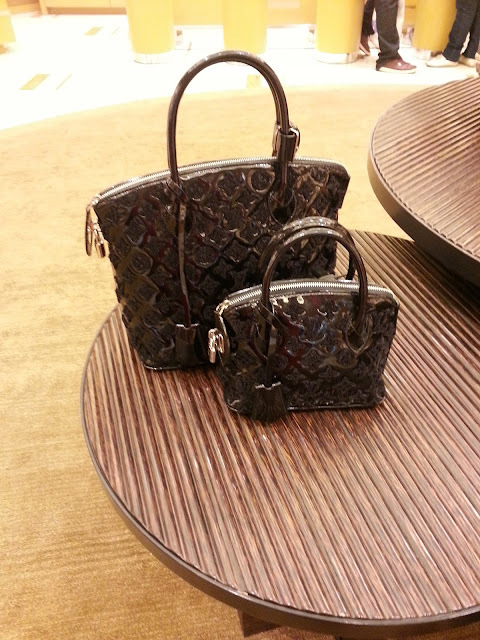 Taking a picture was strictly prohibited inside the Louis Vuitton Outlet but I still managed to get two =p. I found myself in great difficulty as I was unable to decide which one should I pick as every other bag inside that Outlet was a beauty. Finally I ended up purchasing Brea MM. 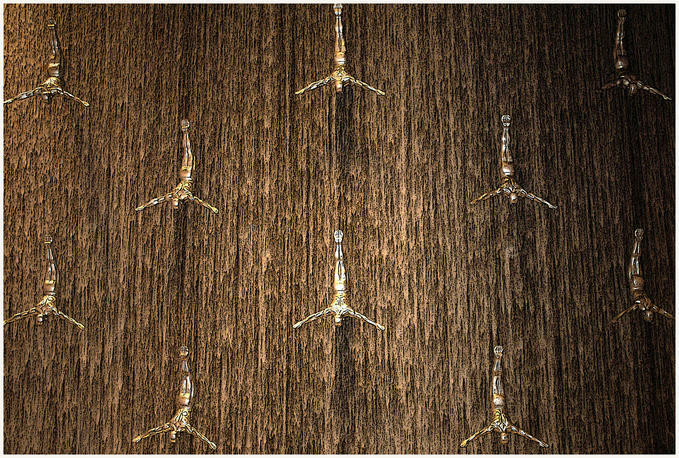 I am going to make a separate post about Burj Khalifa & The Dubai Fountain wait for it. I hope you have enjoyed reading this one feedback would be really appreciated. Just go there you will loveeeee it. 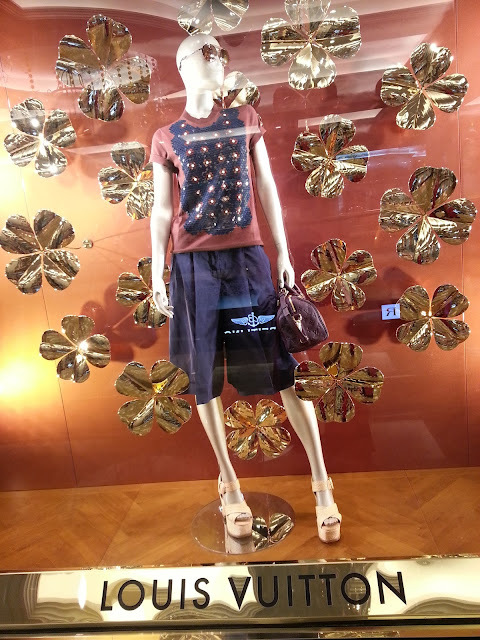 love this post and bag is nice too. 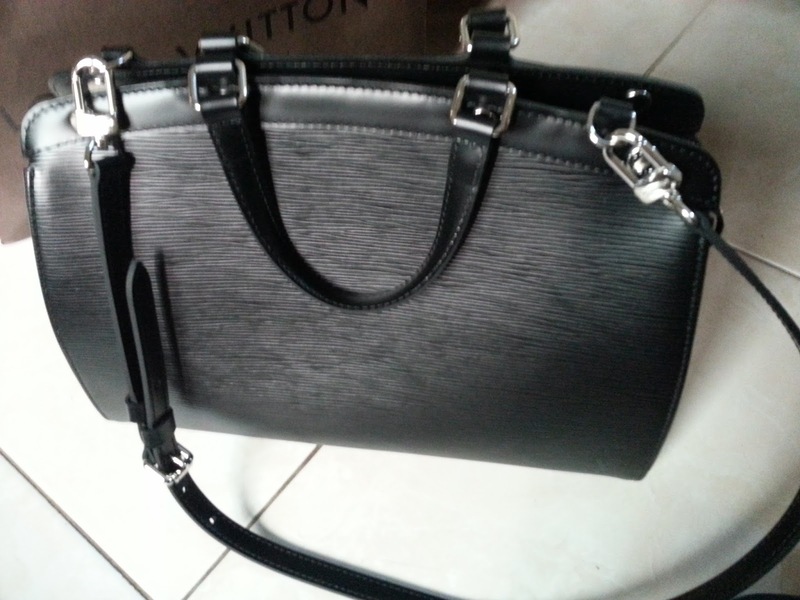 i have been looking into buying LV bag , but i will go for classic LV one. oh Love the classic one =) let me know when you buy it. 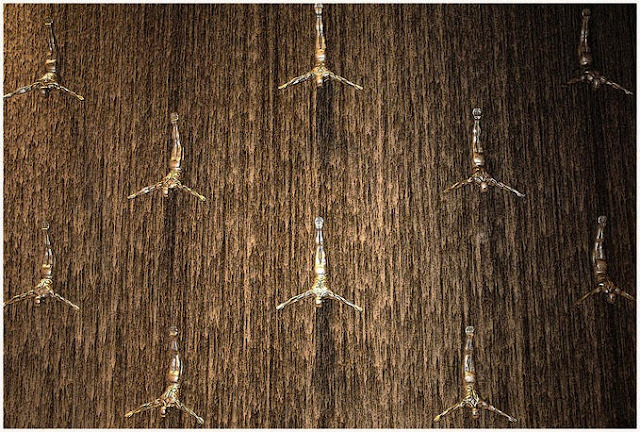 Amazing pictures, i would love to be there !! What a great blog, i am searching in Google from couple of days.Two Simple Ways to Get Traffic to Your Blog” but did not find any great way,but my search came to an end after visiting your blog.